If your little one's teeth have begun to fall out, and their permanent replacements appear to be lagging far behind, you may wish to consider a space maintainer to minimize future orthodontic work. Believe it or not, the absence of your child's teeth might seem cute now, but those tiny little gaps can cause deep gouges in your pocketbook as you watch them fill up with teeth that don't belong there. Space maintainers are simple to use, kids get along fine with them, and they have become the de-facto standard for protecting the cosmetic and functional aspects of your growing child's mouth. Space maintainers are very similar in purpose and design to an adult "bridge," but instead of placing artificial teeth over the gap, the space is kept open to accommodate its future resident. At Kirksville Dental Group, we make most space maintainers out of metal, (sometimes both metal and plastic), and custom-mold them to the shape of your child's mouth. In most cases, the maintainer is made up of a metal band attached to a rectangular-shaped wire that butts up against the tooth across the gap. This acts to temporarily preserve the space where the baby tooth once was, so its replacement can erupt without obstruction. To some, the final product looks like an old Radio Flyer® snow sled, or a shoe horn you might use to maintain the shape of unworn shoes. It's important to note that dental space maintainers are not required for all childhood tooth loss, and that we’re not going to suggest you create a decade worth of space maintainers as each tooth falls out of your child's mouth. Our bodies are quite effective at saving space for the loss of our front teeth as well as our incisors - it's the teeth along the sides of our mouths that tend to cause the majority of complications. Of course, each mouth is different, so be sure to discuss with us the best course of action for you and your child. 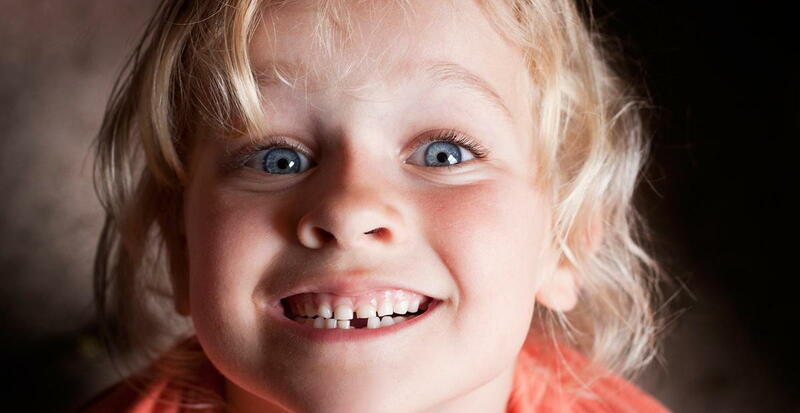 If your child has recently lost a tooth, or several teeth, and it’ll be awhile before they’re scheduled to see Dr. Gooch, Dr. Kice-Briggs, or Dr. Harden, give us a call at 660-665-1901 to see if you should come in a little earlier.